Part 1 of 3. Carmen's latest theft, stealing miniature models of famous landmarks, has the detectives baffled. Has she lost her touch? No, she is using the miniatures for a VILE training program. Zack and Ivy follow Touriste Classe and Clay Tandoori and find the VILE training facility. They enter as VILE recruits and begin the tests Carmen has devised. In their first test Zack and Ivy steal a holographic replica of the Leaning Tower of Pisa, while Carmen's version of the Chief quizzes them all about the tower. Carmen finds out the detectives have found her training center and she decides to make things a little more difficult. The detectives solve all of the puzzles and make it to the end of the maze. Carmen then hops into her time machine and takes off. She used the stolen chrono-skimmer [from "A Date With Carmen Part 2"] to build her own time machine. The Chief gives Zack and Ivy a new chrono-skimmer and the detectives follow Carmen into the future. 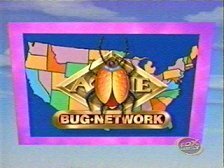 We get to see how VILE agents are trained in this episode. Carmen's use of the miniatures was inventive. I liked the idea that VILE recruits are required to know something about the items they were stealing, as seen is the VILE Chief's constant questioning of Zack and Ivy. That's so Carmen. The aliases chosen by Zack and Ivy were hilarious. The two VILE henchmen lead Zack and Ivy to VILE's secret training facility. 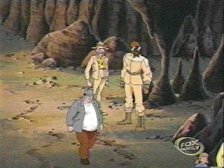 Clay can also be seen in "Dinosaur Delirium". Touriste Classe was in "The Stolen Smile". 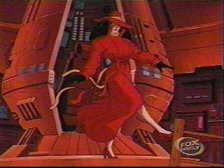 Carmen Sandiego stole Acme's Chronoskimmer ["A Date With Carmen Part 2"] and used it to create a new time machine. They are the French speakers of the southern half of Belgium. Miniatures of the Arc de Triomphe, Leaning Tower of Pisa, and the Parthenon stolen from the Mini-Europe Theme Park by Carmen Sandiego and her henchmen. Carmen Sandiego steals a bust of Marcus Aurelius.